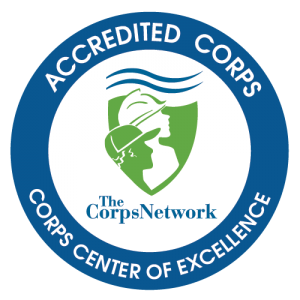 Conservation Corps Minnesota & Iowa is a 501(c)(3) that specializes in developing youth and young adults through environmental restoration, energy conservation and community service. Our central office is located in Saint Paul, MN and our programs operate around the region. Position Summary: The Program Coordinator will oversee individual placement corpsmembers with various community partners. Examples of partnerships include energy conservation organizations, local government units, state agencies, and other nonprofits. The program engages AmeriCorps members (ages 18-25) in environmental and community service. AmeriCorps member service terms are both year-round and seasonal. In these placements, corpsmembers complete service under the guidance of an advisor from the partnering organization. Plan, promote, and administer the Individual Placement program. Implement a RFP process to select service site locations based on specific objectives. Coordinate project logistics in cooperation with community partners. Assist with recruiting, hiring, and supervision of 40-50 corpsmembers each year. Develop and monitor safety procedures for corpsmembers and monitor safety practices. Conduct and coordinate educational, technical, and safety training. Oversee corpsmember development to ensure that participants achieve success through service-learning. Assist with planning, policy, and public relations associated with start-up and management of the program. Track and report corpsmember hours completed and accomplishments. Significant travel is required; at least 20% of the coordinator’s time during these months. Develop, plan and implement additional projects and programs as they arise. Actively seek community partnerships and new placement sites that meet community needs and provide a quality service opportunity for corpsmembers. Supervisory experience, preferably with young adults. Thorough knowledge of human relations skills is essential to assist with the management of 45+ corpsmembers. Leadership skills, characterized by the ability to gain respect, supervise, mentor and positively influence others. Ability to coordinate and directly provide training in both technical and personal development skills. 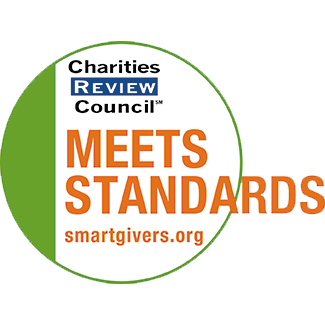 Experience working with community partners in collaborative efforts and programs. Working knowledge of project management specifically relating to program start-up and individual placements. Excellent written and verbal communication skills are essential for internal management and external outreach. Familiarity with AmeriCorps or other federal service programs is preferred. Four-year degree in a related field is preferred. Must have the ability to travel at least 20% during the months of May through August. Full-time, 40 hours/week, exempt, salaried position. Health and dental insurance, paid time off and a 401(k) Safe Harbor retirement savings plan. Questions: Contact Program Director, Eric Antonson at 651.209.9900 x11.